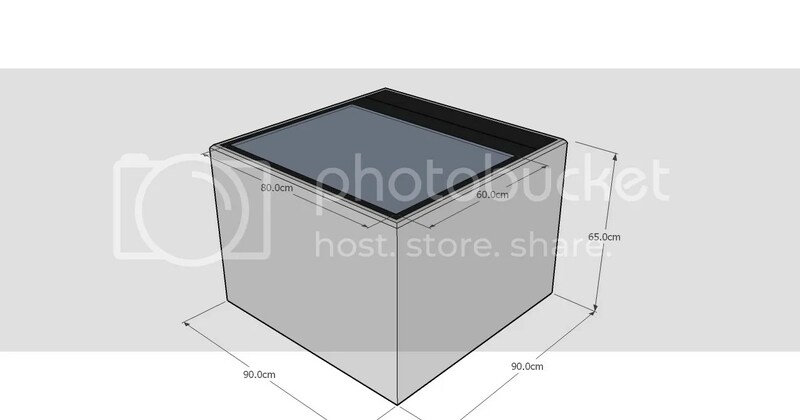 My aim is to create a clean and simple table top design MT device, in preference a coffee table layout was choosen, where individuals can easily interact with the surface from all 4 sides giving 360° access to the interactive surface, also allowing for the use of fiducial markers. The MT device will function on the principal of FTIR (Frustrated Total Internal Reflection), this was chosen due its robust nature and its finger detection capabilities. I did a quick sketch of my initial conceptual thoughts using Google SketUp. As the progresses this will be updated with pictures of the actual progress and SketchUp files. The following design is only conceptual, as problems are faced design modification will be done on the fly on the basis of whats best. You are currently browsing entries tagged with design at Interactive IO & More.